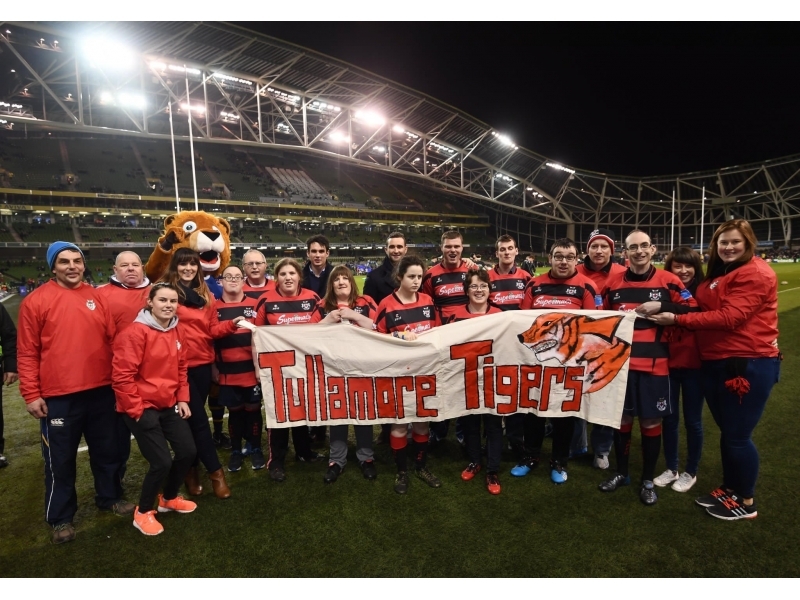 On Saturday, December 17th the Tullamore RFC Leinster Express made its maiden voyage from Tullamore train station to Lansdowne Road with the help of Irish Rail and Leinster Rugby. 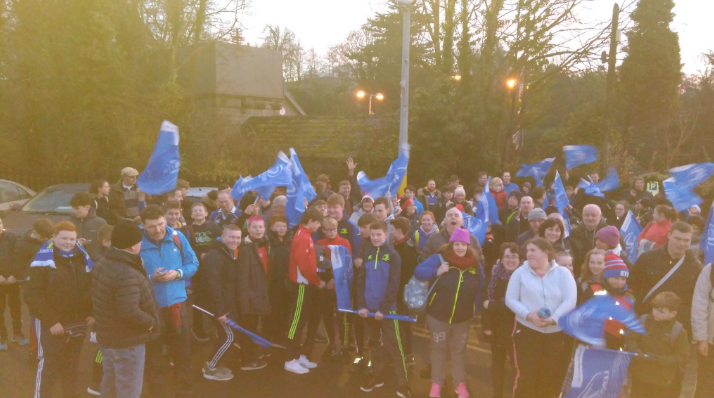 Over 500 club members gathered at the station on the evening, donning Leinster hats and scarves along with other blue and white memorabilia. After a brief delay, the train pulled up at the station just a couple of minutes after five o'clock and passengers started to make their way on board, in their droves. Sweets were distributed and suddenly the train was filled with hundreds of carollers as the atmosphere started building. Not long after the crowd had boarded, the signs for Heuston station illuminated, but suddenly the driver ramped the speed up, not something travellers from Tullamore would usually be used to on their approach. Just minutes later, the train emerged from the Phoenix Park tunnel and successfully passed through Drumcondra and Connolly station along with a couple of others. Some of the younger passengers were in awe. On arrival at Lansdowne, passengers only had to walk about 100 metres to find their seats in the stadium, which was something of a fantastic feat, especially for those with little feet! 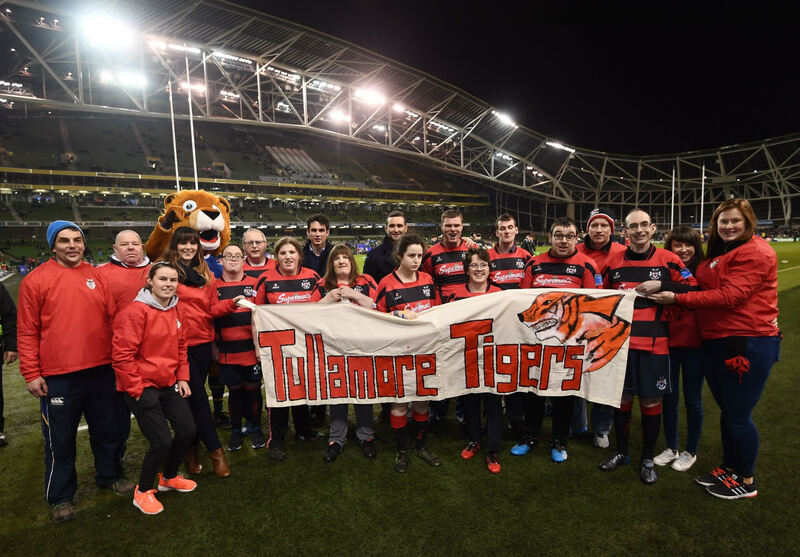 As the match kicked off and Leinster ran rampant on the scoreboard, so too did the Tullamore Tigers disability tag rugby team during their half time exhibition performance. They demonstrated some fantastic handling and some super lines of running. 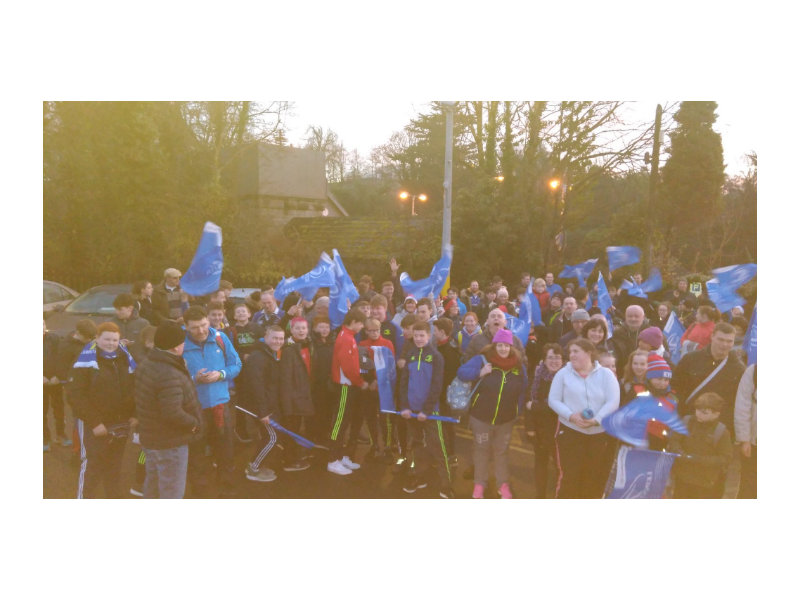 Their celebratory lap of honour along with their opponents after the match was one of the highlights of the day for all the travelling supporters. Plans are already underway for next year's adventure! 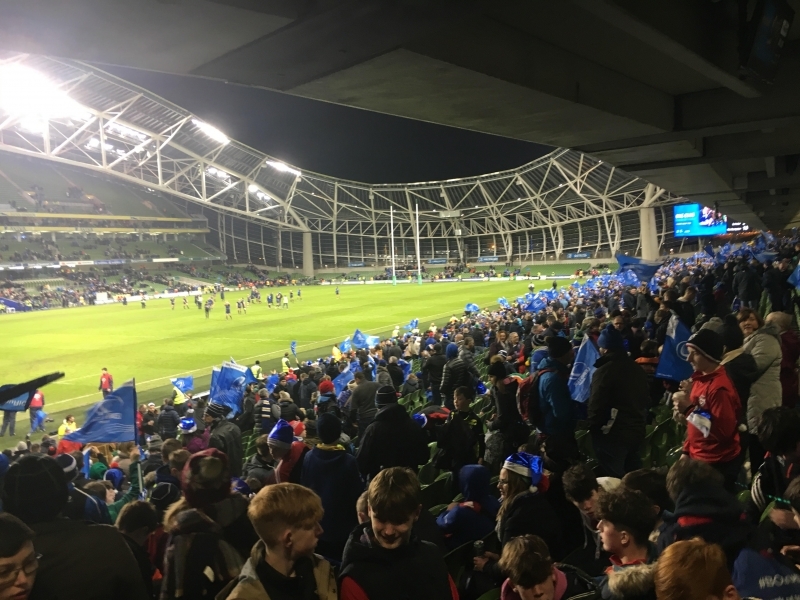 In the meantime, please enjoy this fantastic video our friends at Leinster Rugby put together of the day!